Chronic Illness: Realistic Optimism: Delight Your Caregiver Today! While every day is a great day to share our appreciation to our caregivers, there’s a few days (and even a whole month) in every year that has been dedicated to celebrating them. One such day is March 3rd. 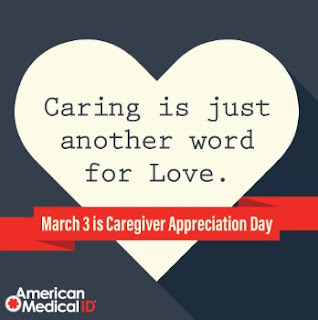 This day is dedicated by many organizations as National Caregiver Appreciation Day. To me, given all that my caregivers do for me, I think of caregiver appreciation day much like how I think of the day dedicated to my illness. Yes, it’s a day of extra awareness and advocacy events, but at the end of that day, I still live, breath and sleep (if I can) with Myalgic Encephalomyelitis (ME). EVERY DAY. Unfortunately, for my caregivers that means they don’t get much of a break from helping me with my needs either. So, in many ways, I try (hope) that I show my appreciation in some way, big or small, to my caregivers every day. With much short-term memory loss though, I know that doesn’t always happen so I’m glad there’s days such as this to remind me to express my appreciation more often. When I think of all my caregivers do for me, it fills me with such gratitude. Their love, support, and compassion are priceless. And.. without them my house would also be a disaster, my refrigerator empty, and my laundry would be in a huge pile. I would be out of my medication, my mail from last week would still be in the mailbox, and my garbage would be piling up outside my door. I could go on and on…. But perhaps most of all is what I first listed – their love, support, and compassion. Above all, that means the most to me. And I know that I am lucky to have the help that I do. I know many do not have such help and my deepest wish is that that would not be the case. While I hope that my caregivers know how much I appreciate every generous bit of help they provide me, like a birthday or anniversary, I plan to make not just this day but at least this week or even month extra special for them. (It’s always been my “thing” that birthdays should really be celebrated as a “birth month” – after all, why not make the most of a celebration!!) I hope to do the same when it comes to appreciating my caregivers. All that said, I think it’s key to be realistic in how much I can show my appreciation though. They are my caregivers for a reason - because I can’t care for myself fully. So how am I going to show how much I care to them? Here’s some ideas that I came up with but I would love to hear any additional ideas that you have that can be added to the list. And if you are a caregiver, I would love to add your insights to this list as well – what would mean the most to you? A Thank You Card: It seems so simple, but a card expressing your appreciation for your caregiver’s work might just mean the world to them. If you can’t get out but like this idea, you may want to consider ordering one online or even making a homemade thank you note. A Meaningful Gift: What I found really cool is that there is a very nice selection of small, but very meaningful gifts, dedicated to caregivers. And also, very accessible, due to online ordering! They can even be delivered right to your doorstep. A box of chocolates: Who doesn’t appreciate a little extra sweetness in their day? A box of chocolates is often a sweet indulgence and can make for a great gift for a caregiver. Scented candles nicely warm up a home and can leave a delicious scent and memory of your appreciation. Special gifts: Speaking of scents, who doesn’t like to smell extra good? For women, perfume is often a much-appreciated gift. Similarly the male caregivers in our life might appreciate a bottle of cologne. Hobbies: Sometimes our caregivers are so focused on our needs that they don’t prioritize what they enjoy. Perhaps something that shows our support of their hobbies or interests (i.e. embroidery yarn, a new book, a DVD of their favorite movie, etc..) may be good options to consider. All of these things can be ordered online (and are relatively inexpensive), if shopping outside the home is not an option. Online books are a great option as well! Handmade Gifts: On days like this, remember too, it’s not the cost of the gift that counts, it’s the thought. Homemade items often mean the most. Whether a card, potholder, a decorative item, or something more elaborate, what matters the most is the thought. A Home-Cooked Meal: I know that my only homecooked meals come from my caregiver, but perhaps even just letting them know that you got it that day and even if it’s as simple as a can of their favorite soup, the thought and change of pace may be a real treat for them. 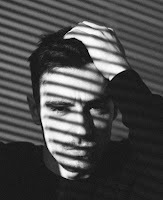 Listening Ear: I know that I use my caregivers often as a sounding board for whether to try a new doctor or medication, to vent about my pain, or discuss future care plan options. Perhaps taking some extra time to be the listening ear for them would really be meaningful to them. They may be hesitant to share their problems with us thinking we have enough of our own. If we are up for it though, I think letting them know that we are happy to be their listening ear going forward might be much appreciated. Support: Our caregivers give us so much support. Perhaps there’s a hobby or activity that they would like to do that they just don’t have time to pursue because they are so focused on our needs? If so, perhaps something as simple as a brainstorming session to help them find the time, or a little gift to get them started on their hobby (yard of fabric, embroidery kit, fishing lures, or tools (I don’t know about you but I find it hard to shop for my male caregivers!) might just be the thing that spurs them to find the time or to start activities that they get joy from. A Smile: I know that sometimes smiling is the last thing I want to do or even have the energy to do many days. And that’s what my caregiver sees, or hears over the phone, every day. I have a feeling my caregivers wouldn’t mind seeing a smile out of me a bit more often. Bonus: Smiling is contagious. I bet you get a smile right back! Share Your Strategies for Success: Some of our very own strategies for success are helpful for anyone, chronic illness or not. For me, I find meditation very helpful but my caregiver has never explored it. They do so much for me, perhaps this is something I can give back to them. Something as simple as inviting them to go through a guided meditation DVD or some deep breathing exercises together might bring some extra inner peace to their day as well. Yoga may be another similar area worth sharing if it’s something that you’ve found helpful. If you are able to do gentle yoga and really enjoy it, perhaps consider sharing the experience with them. It not only could be a great bonding experience but one they may find is of interest to them in pursuing further on their own. So many of us may be fully appreciating our caregivers already so these ideas may seem redundant. I think, hope, that my caregivers know that I appreciate all that they do. But to be honest, I have never given them a thank you card specifically focused on thanking them for what they do for me. And while I know that none of them expect that from me, I also know how I feel when I get an unexpected expression of appreciation or gratitude. I want to pass that feeling along to them and this seems like the perfect opportunity. If you have any ideas to add to the list, please share! What rings true to one person may be possible or an option for another so the more robust we can get this list the better. I started this list not with the idea that so much needs more to be done for our caregivers (maybe many of us are already doing quite a bit to show our appreciation), but just simply as options for those of us that want to, for our own reasons, to do something extra or more than we are already doing, for our caregiver, in particular in light of Caregiver Appreciation Day.